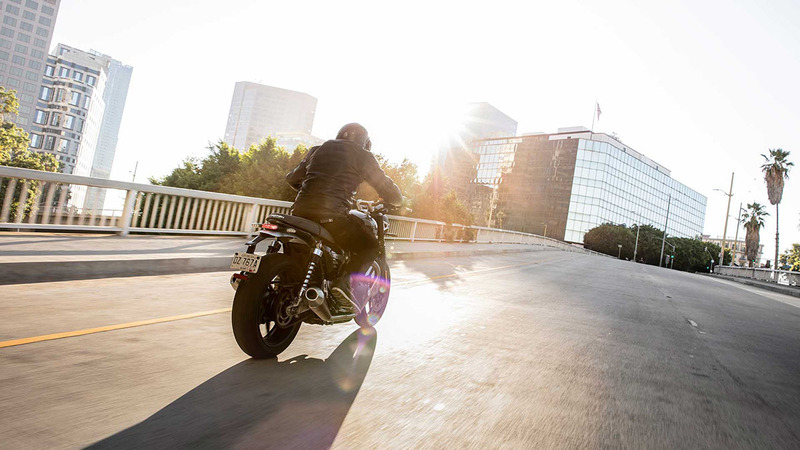 In keeping with this incredible heritage, today's all-new 1200cc Speed Twin delivers a step change all over again with class-leading handling and performance supported by advanced rider technology in a beautifully modern custom style. 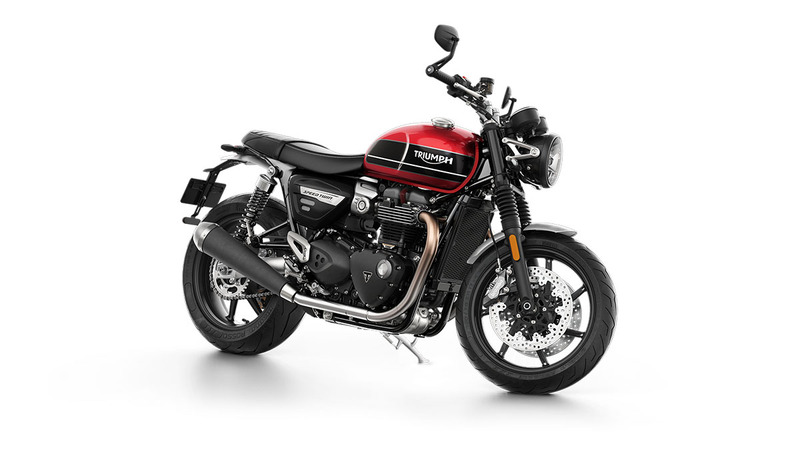 This is a brand new performance icon that introduces a next generation of dynamic capability; a modern classic custom roadster, with a totally intuitive and accessible feel, advanced technology, exhilarating torque delivery and a distinctive British twin sound. 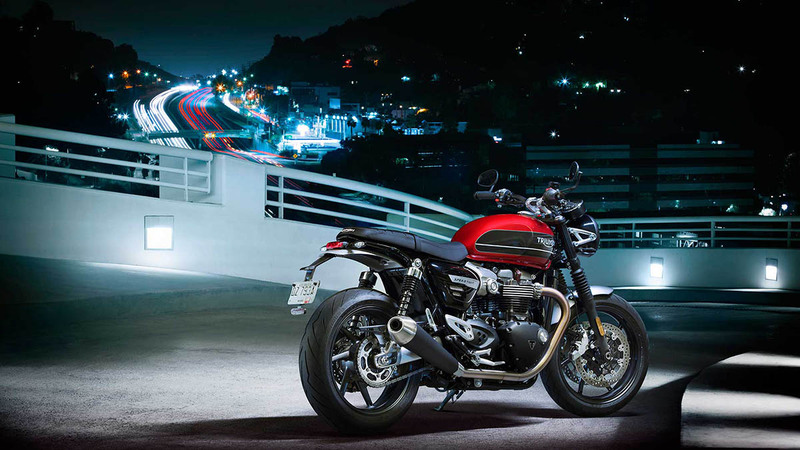 The new Speed Twin blends Triumph's timeless DNA with cutting edge Thruxton-tuned performance, together with elegant finishes and detailing, and modern classic stripped-back custom style and poise. 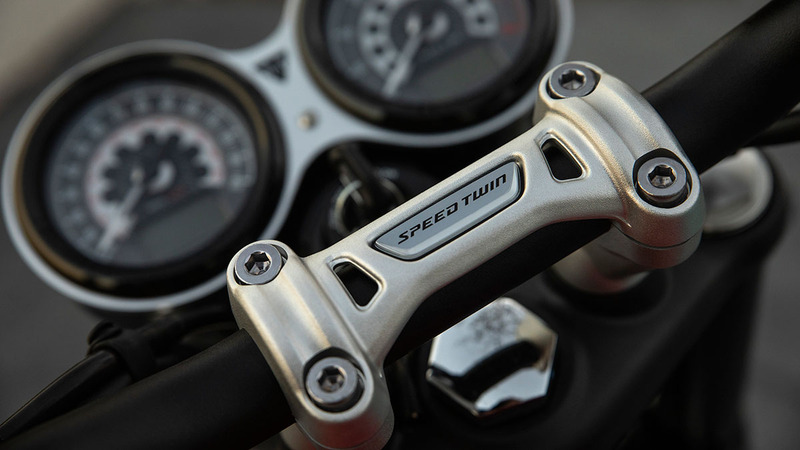 The ride-by-wire system manages the Speed Twin's high torque delivery including the Anti-locking Braking System and switchable traction control, which automatically adjusts throttle delivery if traction is compromised. 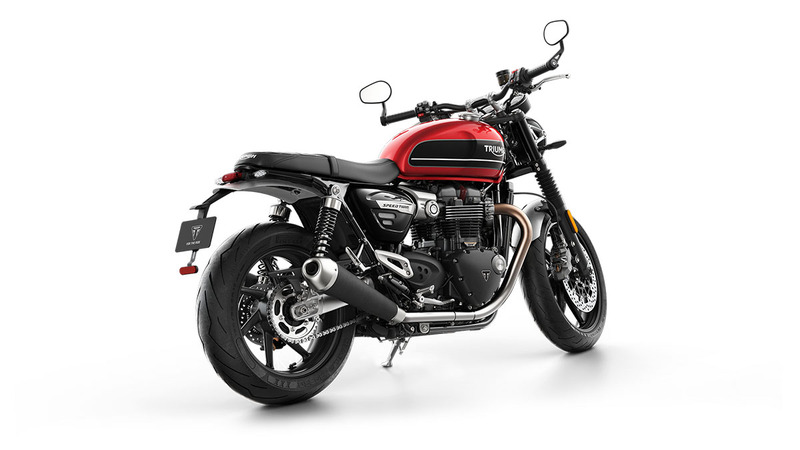 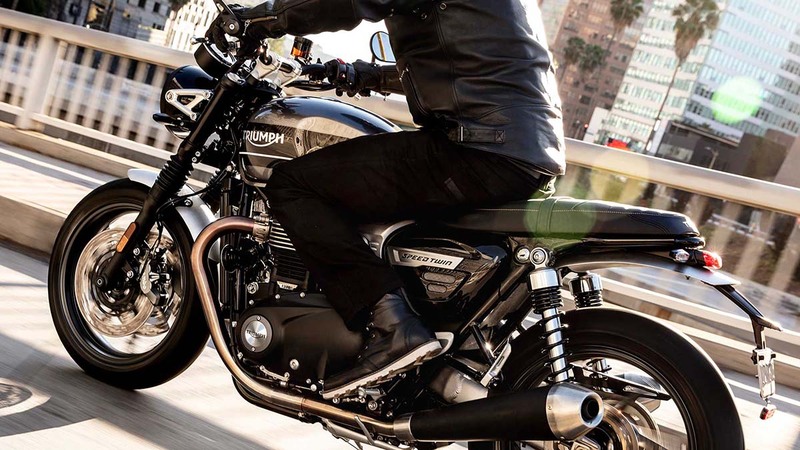 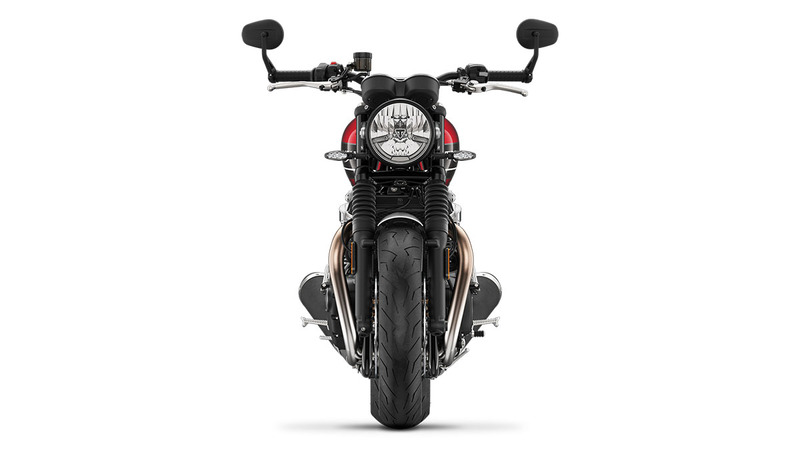 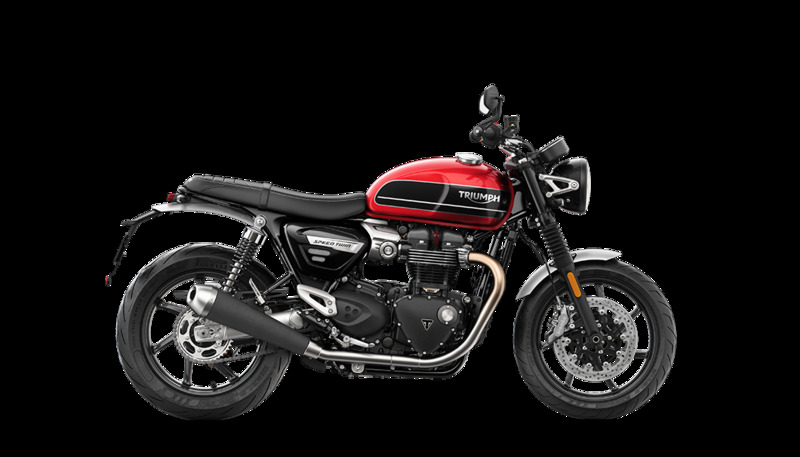 The Speed Twin's accessible low seat height and roadster ergonomics encourage a relaxed riding position, with tapered handlebars featuring new upper yoke and risers, and a comfortable peg location that's 38mm forward and 4mm lower than the Thruxton's. 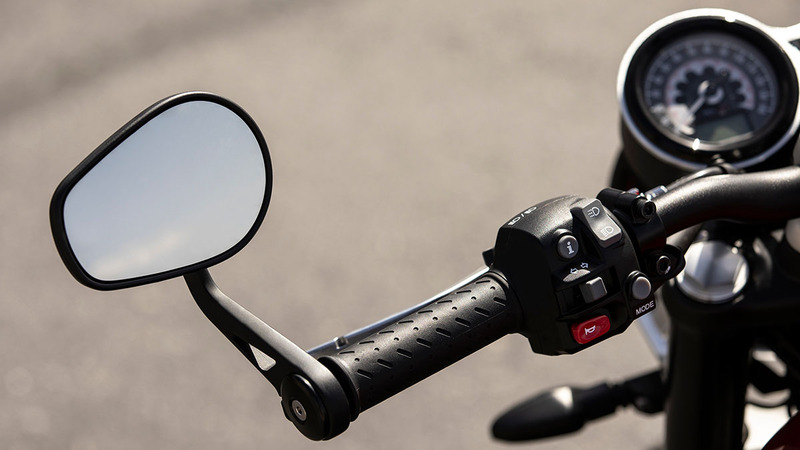 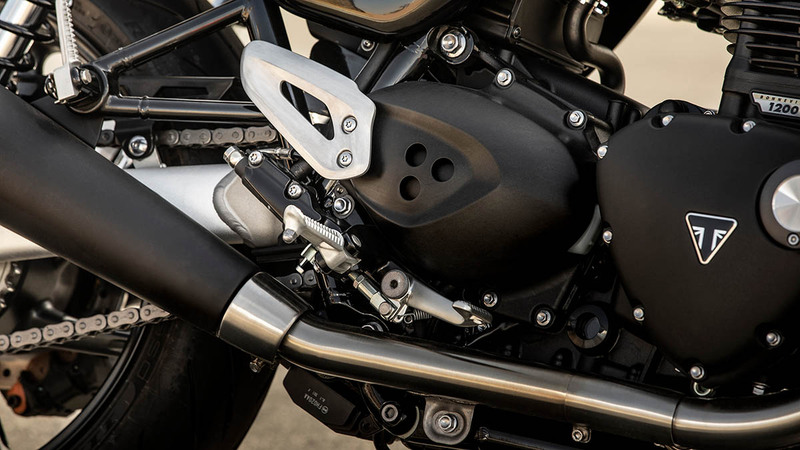 The torque-assist clutch is optimised to reduce the rider's lever effort, making the Speed Twin more comfortable over longer journeys as well as for shorter rides that involves lots of stop-start riding. 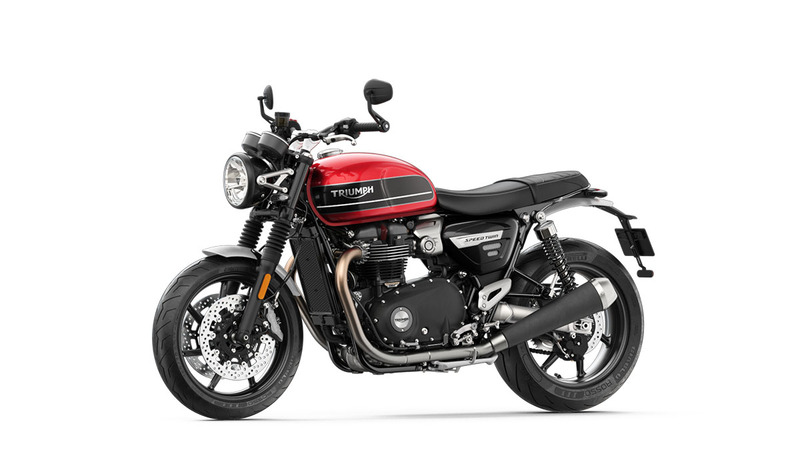 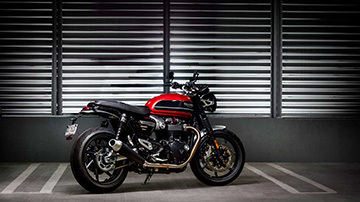 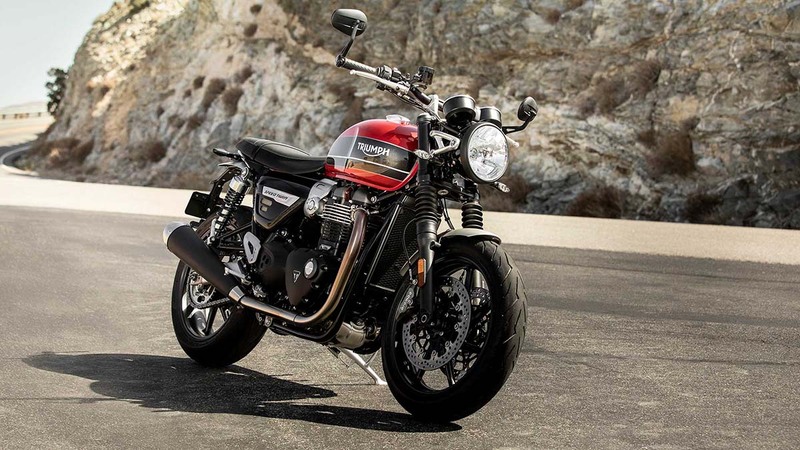 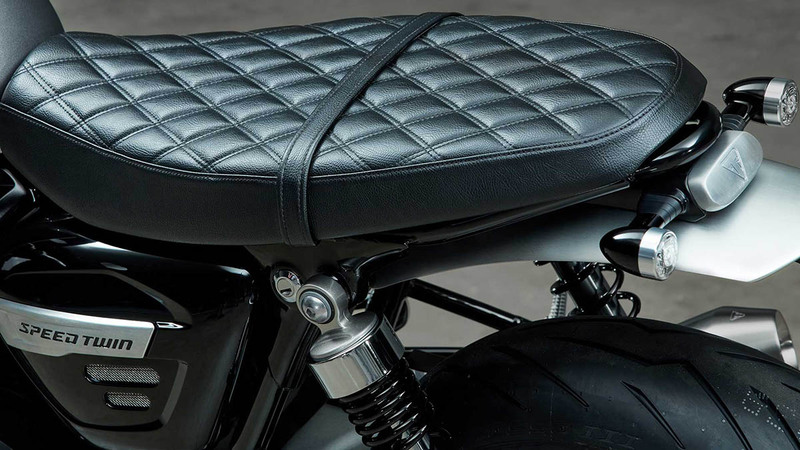 Triumph's timeless DNA combines with a more contemporary stripped-back custom style and poise, showcasing the Speed Twin's signature 14.5-litre fuel tank, bench seat, and sculpted side panels with aluminium detailing. 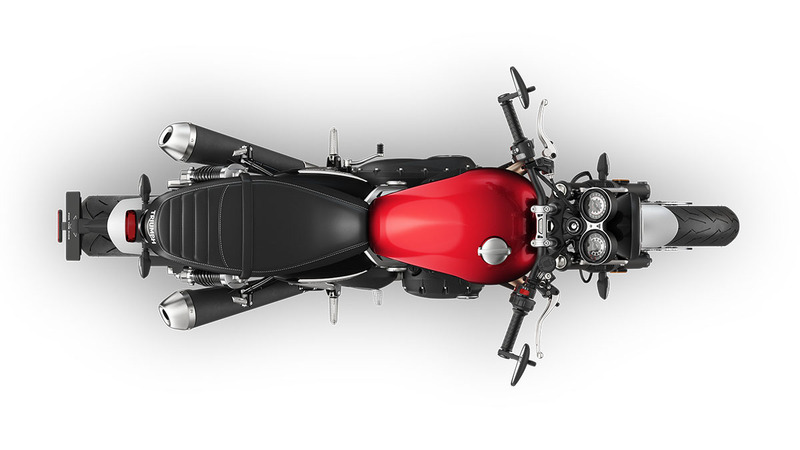 The original game-changing 1938 Speed Twin's twin engine and smooth dynamic handling changed the face of motorcycling. 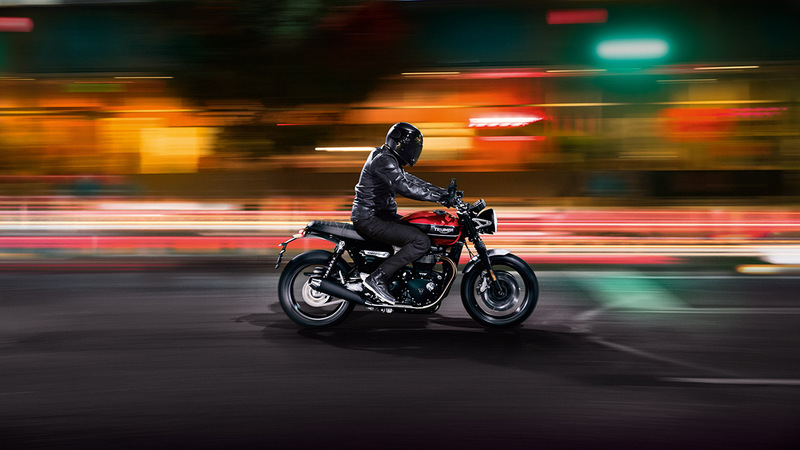 Now there's a new Speed Twin and once again it's setting a new benchmark for how a custom roadster should ride and feel. 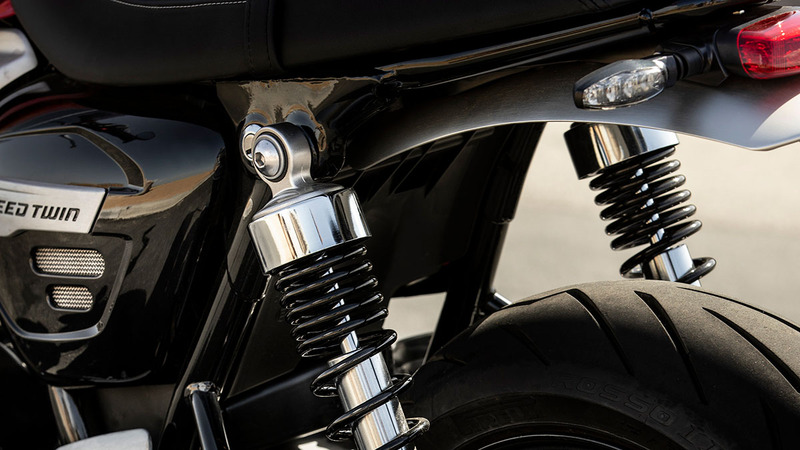 To complement its top quality finish and detailing, over 80 dedicated custom accessories give you the opportunity to add extra touches, enhance your Speed Twin's style and capability, and make this incredible ride your own.